2019 is shaping up to be a big year for Louis Futon. In February, the producer and multi-instrumentalist (real name Tyler Minford) unveiled his debut album Way Back When. The 14-track collection showcases his unique musicality. It also houses several potentially massive hits. One of those is a collaboration with Love, Simon star Keiynan Lonsdale called “Royal Blood.” Boasting a rousing production, loved-up lyrics and the “Preach” crooner’s evocative vocals, it is an obvious highlight. And that shows. In under two months, the song amassed nearly 2.75 million Spotify streams. It will reach an even larger audience with the release of an accompanying video. Out today (April 9), the video brings the song to life in a unique way. In it, Keiynan embodies royalty in two different looks. The multi-talent also shows off his dancing chops by engaging in an intricate routine with co-star Isabel Durant. The end result feels luxurious and should rack up serious streams. And it sounds like creating it was a collaborative effort. Louis opened up about working on the video in a shared statement “A couple of friends and I built the stage from scratch, and Keiynan and Izzy choreographed the dances around the stage platforms,” he explained. The “Wasted On You” creator also shared some insight into their overarching goal. He ended with his own interpretation of the video. “It’s about learning to let go of fear, of perfection, & allowing yourself to just enjoy life freely with the ones that make you feel loved & connected. Lifting each other up through it all, & playing.” Sounds like some useful advice as well. 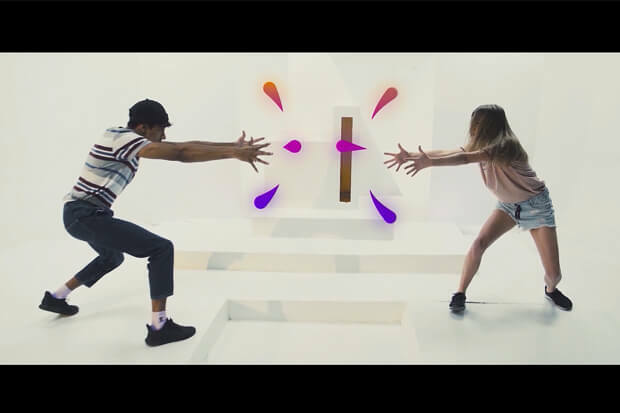 We’re proud to partner with Louis Futon & Keiynan Lonsdale to premiere the “Royal Blood” video. Give it a view below and let us know what you think.